of ... MD., April 27th 1904.
cover-title, 16,  p. : incl. table ; 22 cm. ..Upton Scott, M.D., of Annapolis. His life and letters. / By Eugene F.
Cordell. Read before the Book and journal club. 5 p. : ; 26 cm. 7 p. ; 23 1/2 cm. Notes: Letter Cordell, Eugene Fauntleroy, to Dr. [Randolph Winslow], 1903 June 2. Summary: Discusses contributions to a university endowment fund. Maryland Historical Society, Baltimore. Vertical File. Main Reading Room. Cordell, Eugene F., The importance of the study of the history of medicine : An address delivered on the 150th anniversary of the Medical and chirurgical faculty of … MD., April 27th 1904. Baltimore: Killam & Geyer, prs. Cordell, Eugene F., The medicine and doctors of Horace. [S.l. ]: [n.p.]. Read before the J. H. H. historical club, Nov. 12, 1900. From the J. H. H. bulletin, v. 12, no. 125, Aug. 1901. Cordell, Eugene F., The medicine and doctors of juvenal. [S.l. ]: [n.p.]. Repr. from the Medical and history journal, Jan., 1903. A paper read before the J. H. history club, Baltimore. Cordell, Eugene F., Dr. Charles Frederick Wiesenthal’s medical reports. [Baltimore]: [Johns Hopkins Press]. Cordell, Eugene F., Granville Sharp Pattison, the dueling anatomist. [S.l. ]: [s.n]. [Extr. from the Bulletin of the School of medicine, Univ. of Md. v.23, no.2, Oct. 1938]. The address was delivered before the Cordell hist. soc’y of the U. of Maryland., Apr 20, 1938. Cordell, Eugene F., …Upton Scott, M.D., of Annapolis. His life and letters. [S.l. ]: [s.n]. 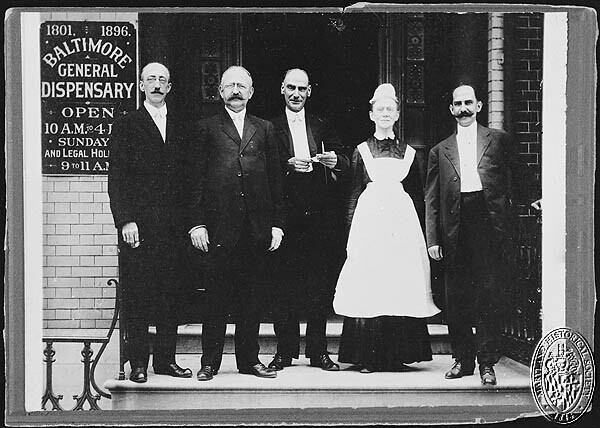 Cordell, Eugene F., Dr. Heinrich or Henry Keerl, of Baltimore, the ‘Hessian surgeon’ [S.l. ]: [s.n]. Reprinted from the Johns Hopkins Hospital Bulletin, vol. xvi, no. 169 (April, 1905). Cordell, Eugene F., Sketch of John Crawford, M.D. [S.l. ]: [s.n]. Cordell, Eugene F., The doctors Gustavus Brown of lower Mayland [S.l. ]: [s.n]. Cordell, Eugene F., The medical annals of Maryland, 1799-1899 : prepared for the centennial of the Medical and Chirurgical Faculty Baltimore: [Press of Williams & Wilkins Company]. Cordell, Eugene F., Historical sketch of the University of Maryland, School of medicine (1807-1890). Baltimore: Press of I. Friedenwald. Cordell, Eugene F., University of Maryland, 1807-1907, its history, influence, equipment and characteristics : with biographical sketches and portraits of its founders, benefactors, regents, faculty and alumni. New York ; Chicago: The Lewis publishing company. Cordell, Eugene Fauntleroy, The American Medical College Association: Its Origin, Development and Present Status. Read before the Medical Society of the Woman’s Medical College, November 5, 1895 [S.l]: [s.n].